Strong sales funnel management enables sales managers to implement more powerful sales analytics, produce more accurate forecasts and put you in control of your sales results. 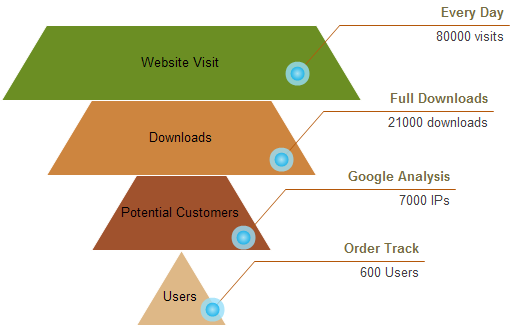 A sales funnel visually represents how a sale proceeds in a linear fashion from customer awareness to customer action. Therefore, managing your sales funnel is crucial to your business. A well managed sales funnel will get all of your sales efforts well organized. To manage a sales funnel effectively, we should avoid some mistakes in managing a sales funnel. Following are some tips for managing a sales funnel effectively. It is important to ensure that no leads move horizontally within the funnel. Instead, they should be able to move sideways. Recognize qualified and unqualified leads and have all qualified leads in a pool to target so that the sales team will end up spending time, effort and resources into targeting unpromising prospects. CRM technology can be a valuable tool to help you keep track of the specific information associated with each potential customer.